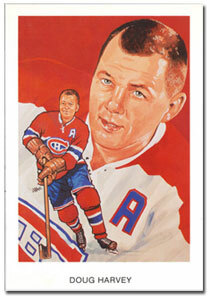 Harvey's Hockey Hall of Fame induction plaque from 1973. 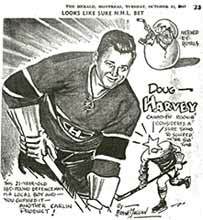 July 31, 1967 news release from the St. Louis Blues announcing that Doug Harvey had been named the Manager and Playing Coach of the Kansas City Blues of the CPHL. 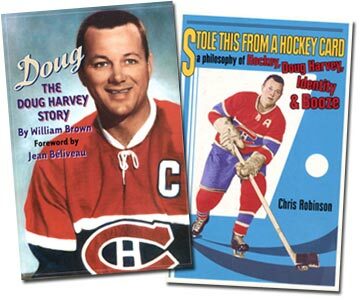 as the league's top defenseman the seventh time in 1961-62. 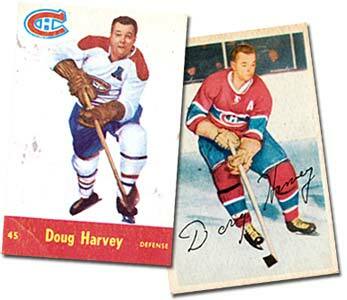 Two of Harvey's hockey cards: (from left to right) a 1953-54 Parkhurst card and a 1955-56 Parkhurst card. 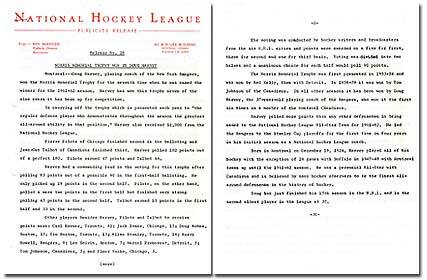 On July 5, 1973 Lefty Reid, Curator and Secretary of the Hockey Hall of Fame sent this letter out to Douglas Harvey congratulating him on behalf of the Selection Committee and Governing Committee upon his election to the Hockey Hall of Fame. 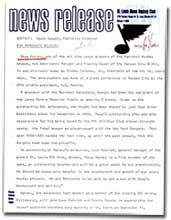 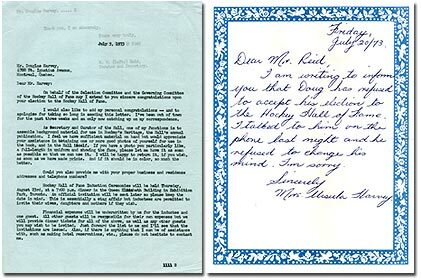 Apology letter sent on July 20, 1973 by Mrs. Ursula Harvey to Lefty Reid of the Hockey Hall of Fame to inform him that Doug has refused to accept his election to the Hockey Hall of Fame, despite talking to him over the phone the night before in hopes of changing his mind. 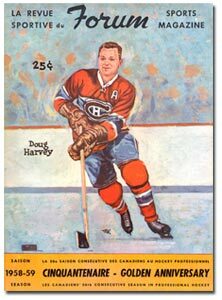 Doug Harvey graces the cover of La Revue Sportive du Forum from the 1958-59 Golden Anniversary season of the Montreal Canadiens. 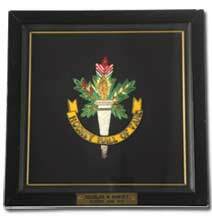 Harvey's ring from his induction into Canada's Sports Hall of Fame in 1975.